IoT Day Many Many IoT Shows, 5 hrs 15 countries, My Labor of Love for you! You know my love of video and meeting and drawing inspiration from many global people. Here I share my latest project for IoTDay 2016. I've recorded ~5 hrs of IoT Shows covering 16 countries with video interviews and bring you IoT landscape from around the world. I have an IoT Show for - France, Germany, Serbia, India, East Africa, Boston, Oulu Finland, Columbia, Taiwan, Czech Republic, Portugal, Turkey. A couple more videos are still being processed. I am amazed by the diversity of IoT area focus but the common faith in IoT, innovating startups and trust in each local country. Rob van Kranenburg, EU IoT Council Founder, put IoT Day 2016 in perspective sharing his experience skyping in an intro to the Isfahan ioT Conference. You can see his video at the top of the IoT Show page. "We all begin to see that #iot is horizontal and generic and its value should be harvested locally even hyperlocally in better cooperation between humans, animalsn machines and the enviroment - Rob van Kranenburg"
Today I skyped into IoT Day Healthackathon in Czech to present Digital Health Disruptions and IoT Day Swedan to present Future of IoT and have more video showing amazing entrepreneurial innovations to process and upload. Fascinating to see the same IoT tech implemented in diff parts of the world differently. Germany has John Deer autonomous tractors doing precision farming, while Columbia has smart farming for coffee farms and Serbia has similar Smart farming for beets. Each is a labor of love of startups, real customer adoption and solving for reach problems. Each environment is different with varying levels of support to startups. There's more autonomous vehicles already in use in industries. Watch Taiwan IoT Show as it compares how China is adopting IoT so different privacy cultural attitudes that won't work in Europe or US. 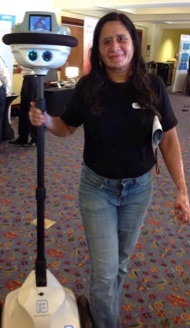 Sudha loves shaping new technology ecosystems, helping businesses drive Digital Business Transformations and has a deep passion for mentoring and developing leaders. Her aspiration is a limitless world. The connected world of 2020 is going to be made, not by things becoming 'smart' but from smart things becoming 'intelligent". First things first - I have been spending my Mondays with my amazing Stanford students, many aspiring entrepreneurs, bringing diverse experience across local tech companies, couple heads of emerging tech groups and labs with one thing in common - eagerness to build IoT Businesses. I dedicate this book to my students for their aspirations, the smart discussions, and pushing me to set the bar high to go beyond teaching to think about the state of several industries on how I can help my students take their b-plans to make real successful businesses. My new book 'IoT Disruptions 2020' is now live on Amazon. This book is focused on how Internet of Things will become intelligent by combining IoT and AI. Please join me in using the hashtag #IoTAI to talk about this book. Artificial Intelligence (AI), Voice and Augmented Reality are fast growing areas. There have been 897 AI startups funded mostly in US, Canada and UK (Thanks to Nader Ghaffari Venture Scanner for the startup ecosystem research). Voice and Image recognition, Machine Learning are all areas of AI slowly being integrated with IoT data creating my vision for the world of 2020. What-if the smart IoT Devices on us, inside us (yeah, that's happening) and all around us can apply Artificial Intelligence and use the large volume of IoT sensor data to become intelligent to make decisions and give us advice to augment our live and reality? What would such a world look like? Scary? Nah? Will we lose jobs to Robots? I don't think so! In my new book 'IoT Disruptions 2020' I share many business use cases and innovations you can build as startups or in your area of business, grounded by my many conversations with the IoT entrepreneurs and business makers I keep talking with each week on The IoT Show. 1. Digital Health is a whole new industry where healthcare is getting transformed with health Informatics from Wearables. Yes, there is the challenge of integration to existing healthcare systems to wearable data that is beginning to happen. But that does not stop innovations such as swarms of nano-devices called 'motes' to look for cancer cells inside our body, use Machine Learning pattern detection to identity and kill cancer cells. Or simply machine learning to look at blood samples for pathogen detection! Join me to marvel at how this prolongs life and guess what industry is disrupted naturally? Insurance! 2. Insurance Disruption: So much consumer data on health and driving behavior and what are the new risk models to be built? Can human analysts build it? Oh we sure need machines to become intelligent to build these out. Same for connected cars and what the data informs about our driving habits. All this data is calling the insurance industry for leadership to go beyond risk models to create new services. Won't you like your insurance to proactively offer driving education for your teenager instead of increasing their premiums? Every industry involving machinery - Manufacturing, Oil and Gas, Textile, Shipping, Logistics, Airlines, Bridges & Dams all are using IoT to track health of failing parts with Predictive Analytics. - ProGlove, an industrial wearable in Berlin uses machine learning to look at worker hand movements to track quality and compliance of car manufacturing. - Konica Minolta offers Augmented reality in Oil and Gas industry to expedite fixing of broken critical machinery. What if they can add intelligence to the machines to look at past parts failure? - Smart office buildings and factories being built up today will monitor and maintain themselves for energy savings, ergonomics and improved safety when the smart chairs, smart meters, machinery and wearables on workers communicate with each other making decisions using AI. 4. Algorithms, Robots and the Human Machine Interface - This brings us to my favorite topic. Algorithms! I don't believe Robots are going to take away our jobs. But algorithms, the smart AI apps that can reside anywhere. I'd bet on them. To enhance our lives. As we move forward into the connected world of 2020, we are going to be immersed in 50 billion IoT devices on us, inside us, all around us communicating with us with voice, virtual and augmented reality with intelligence guiding us, advising us and managing our lives efficiently. This is the IoT Disruptions I've been dreaming and talking and writing about. I won't go so far as to say we'll have to give up free will. Never. However, we need to get ready to change our relationship with our homes, cars, our own bodies and our work. That's all. Let me know your thoughts in comments below. 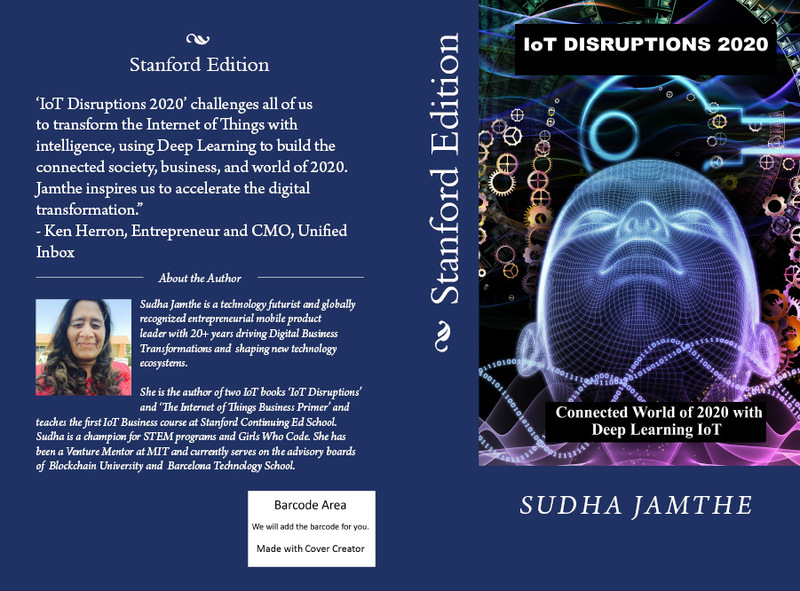 If you like my new book 'IoT Disruptions 2020' share with your network, connect me to people I should be talking to build related case studies and ping me if you share my passion or have something in this space that can inspire me. I am game for it. Always. 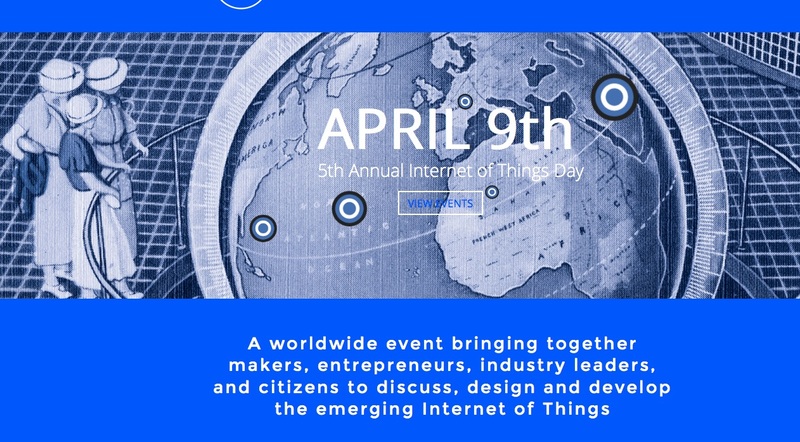 Leading up to April 9th, the world is buzzing with IoT events educating people about IoT, engaging in conversations sharing progress made and exposing where are the gaps to create the promise from IoT. The EU IoT Council (where I am a member) a closed think-tank IoT thought leadership group, started IoT day five years back to encourage people to come together in small groups to exchange ideas, educate, develop standards and build out the IoT ecosystem. 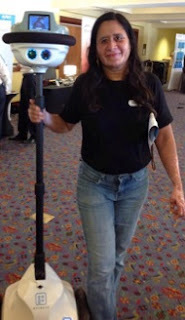 I am used to keynoting at conferences charged by the energy of the audience. 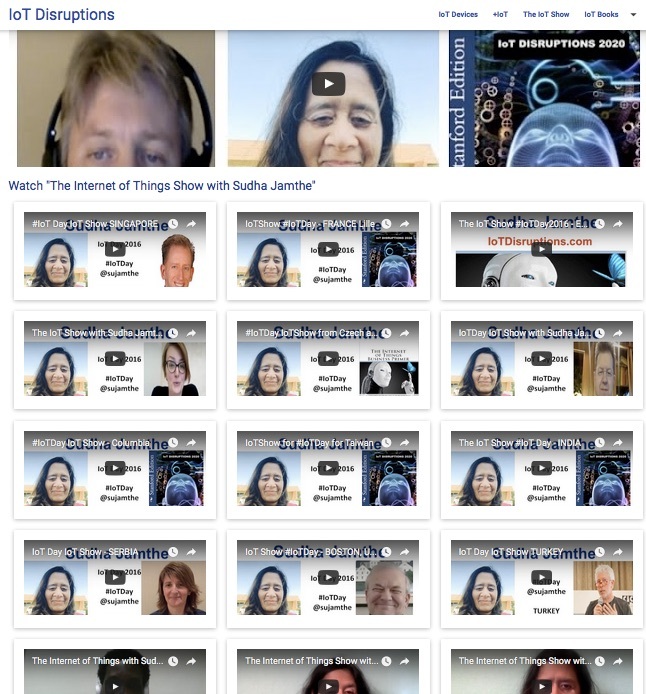 I decided to try something different with the onset of IoT Day - online radio, podcasts, webinars where I have to listen and engage the audience without seeing them. Its been a fun! The show was about "Internet of Things with Game Changers"
Bonnie is amazing and drives the conversation to keep up the charge in the air. Guests were Dr. Vince Kellen the Senior Vice Provost, Analytics and Technologies at the University of Kentucky, Puneet Suppal, IoT Evangelist of SAP and yours truly! We talk about data from IoT devices and so many possibilities but Marketers haven't joined the IoT party. Yet. Today we had an open honest conversation on whether IoT was hype or real. Guess what was my answer. Yes and No. Its part hype because everything is bucketized as IoT and there are many areas of IoT with some growing slowing with challenges of privacy, security and lack of standards. Some areas have already taken off with ROI like Industrial IoT and others innovating and getting there such as Connected Cars and Digital Health driven by Wearables. JC Giraldo, one of my listeners pleasantly surprised me with the summary of the webinar learning as a post here. Checkout the full calendar of IoTDay events in your country/city. Friday April 8th 11am PT - I am going to do a Skype presentation into the Healthcathon in Brno, CZ to present Digital Health Disruptions. Event details (written in Czech) is in here. Thanks to Damir Čaušević for organizing, inviting me and his never-ending, contagious, entrepreneurial optimism. Last but not the least,I am working on a surprise IoT Show global series to cover IoT scene round the global on April 9th. Shhh! I can't tell you more yet. But will soon!